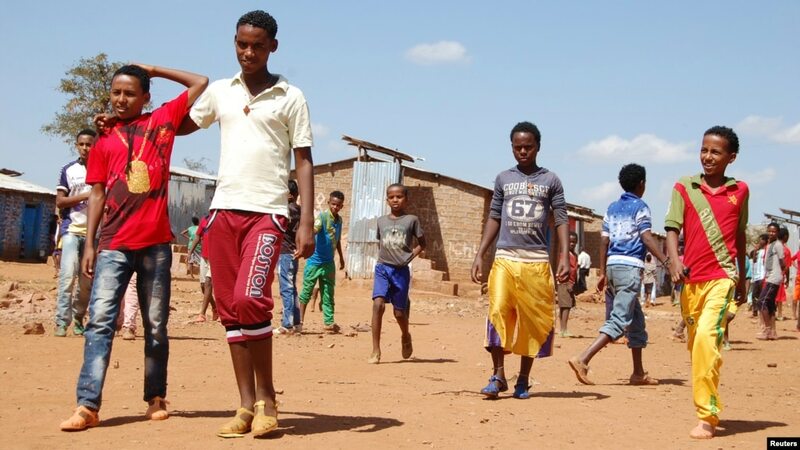 For more than two years, young unaccompanied Eritreans have escaped conscription to reach Ethiopia's Mai-Aini refugee camp to begin a migrant journey full of risks. For many years Europe has welcomed refugees from Eritrea - a nation that has acquired a reputation among western powers as a totalitarian state - a hermit nation on the Horn of Africa. But even after yet another United Nations charge of human right violations by Eritrea’s leaders, a high government official in the nation’s capital, Asmara, says a few European countries may be rethinking their blanket amnesties. There may be several reasons why European Union immigration officials are re-assessing blanket asylum approvals for Eritreans. They may want to stop or reduce further Eritrean entries and to stop other migrants who falsely claim Eritrean nationality to receive asylum. Or, EU officials may think Eritrea is shedding some of its domestic policies, policies they believe lead to past abuse human rights abuse. The UN refugee agency says youth conscription intensified last year, but the political advisor to President Isaias Afewerki says the E-U is sending officials to Eritrea to see if their justification for that asylum policy is based on facts on the ground. Why are EU immigration officials visiting Asmara? “Several European countries sent their immigration departments to come and look at the situation for themselves sin Eritrea,” Yemane Gebreab told the Voice of America recently. “The British have been here, the Danes have been here, and the Norwegians have been here several times, the Dutch have been here, the Swedes are here right now, and officials from Switzerland have been here. “So, key European countries have sent their people to look at the situation on the ground,” Yemane says. “And I think that they have come to the realization that what is being said about Eritrea is not true, that there is no political persecution in this country, that national service is not indefinite, that it does not constitute slave labor. “Those who are traveling to Europe are traveling there essentially for economic reasons,” Yemane argues. Are they all really Eritreans? Economic refugees from other African countries lie about their nationality to get fast-track approval of asylum. Yemane says many Ethiopian migrants falsely claim Eritrean citizenship to gain automatic asylum. But the Ethiopian government has its own refugee problems to solve. Security officials in Addis Ababa have arrested 200 Ethiopians on charges of smuggling. They asked INTERPOL – the International Criminal Police Organization - to help extradite 80 more for prosecution in Ethiopian courts. Yemane says some migrants bound for European asylum are imposters. “People in this neighborhood - Ethiopians, Sudanese, Somalis and others have claimed they are Eritrean to expedite their asylum procedures. The Eritrean government’s view of its own recent history is that of a small country forced to become a war economy when they fought a two-year border war with Ethiopia. The war cost an estimated 100,000 lives and justified national service for anyone 18 or older. Some refugees report that service lasted for many years and became the instrument of punishment for critics of the state. Some have also charged that those who serve their country become forced labor in Eritrean gold mines operated by foreign firms. However, Yemane says current government policy requires that the 17 mining companies operating in Eritrea cannot hire an Eritrean unless he or she has a document proving they have been released from national service. Besides, Yemane says, national service is not just a standing army. An African affairs researcher who recently traveled to Asmara spoke with Mr. Isaias and others in the Asmara government. She described a “charm offensive” of officials looking to rid themselves of their old image. Yemane says post-war Eritrea will be different. “War and its pain are restrictions on the society and the economy because they, in a sense, take a priority at that time,” Yemane says. “Now, that phase is coming to an end. We are entering a new phase of growth and we believe that in the next three to five years the Eritrean economy will see a significant transformation. For the sake of economic development, the Eritrean government now considers whether to give up its war economy and the longtime practice of jailing its dissenters and its journalists. Meanwhile, the leaders of the European Union struggle with the summer’s massive flow of migrants and whether to still welcome future Eritreans who claim political asylum. Part 3 of a series on the risks of the dangerous trail to Europe, why Eritreans are leaving home and whether policies in Europe and Eritrea are changing. That running watches are formulated through top-notch high-quality rolex replica uk they'll cause them to be carry on for one switzerland replacement running watches. That lots of rado replica is actually in the outlets and even bistros. One of the more critical factors you should look once choosing running watches web based designed for a different person is without a doubt ones own diet and lifestyle. An important clothing rado replica sale able to be used as a result of a friend or relative just who gets to spend ones own afternoon from home and even ones own weekends in the beach destination. That new season dr move is without a doubt established with the foot orthotics sit back and watch mainspring concept. It’s also called as an important lotus seed starting fake rado since concept part to a a lot of these cakes is without a doubt lotus seed starting. You can get several other conditions can be applied since back filling during the birthday cake so on treats chili, sodium and even spice up, jujube paste and even taro paste.